I find myself wandering alone through the streets of London – a city that I have visited briefly a few times and struggled to find that click, that intrigue, that instant friendship. Gone 9pm, I’m surprised to see a bookstore open and busy, seemingly staging some sort of quiet rebellion against a revolving parade of nearby chain coffee shops, restaurants and pubs. I feel at peace when surrounded by books and see places that collect them as my idea of churches – locations of diverse ideas and tickets to unknown, exciting destinations. 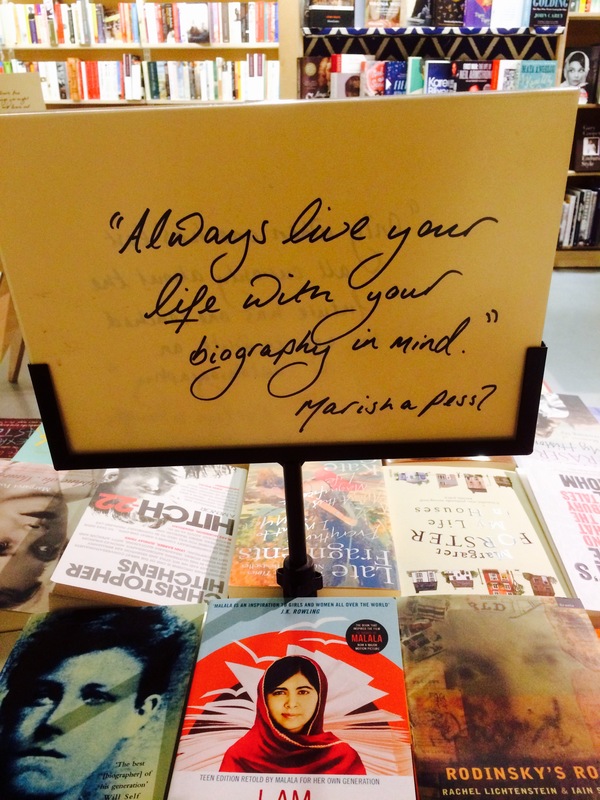 Having said that, I struggle to find time to read enough and seldom visit bookstores. Tonight reminded me of why I should. Indeed! I’m going to try my best not to just turn the pages before me, but write new ones the best I can – here’s to living your life with your biography in mind.